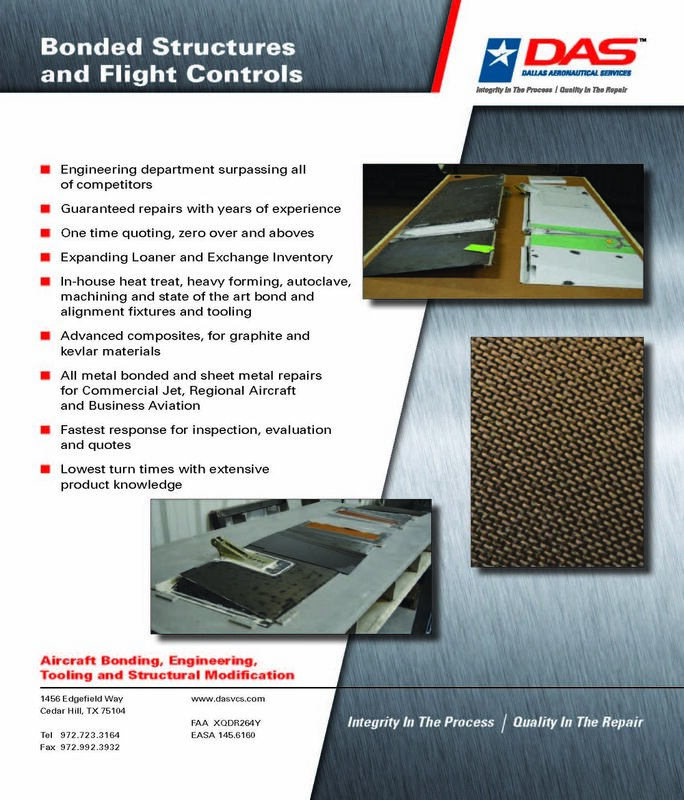 Structural and Composite Repair & Overhaul of Flight Control Surfaces. The repair and overhaul of flight structures is a critical aspect of maintaining the safety and performance of an aircraft. DAS is a leader in the industry by maintaining complete structure and composite repair capabilities onsite. We can fabricate and machine replacement components onsite with our 4 and 5 axis machining capabilities and even provide specialty coatings and surface treatments as required, as well as full bonding capabilities for re-coring, re-skinning and overhauling of composite flight controls with our two onsite autoclaves and lay-up room.